The many colors of Cuba come to life through the eyes of the people: Cuban artists, musicians, architects, dancers, fishermen, farmers and even baseball players. Share in the customs and traditions of an island nation that’s been shrouded in mystery for 50 years via one-on-one conversations with the locals, demonstrations and exploration. From its beautifully adorned churches and vintage cars to world-renowned cigars and a lush, tropical climate, Cuba will transport you to a bygone era, waiting to be rediscovered. 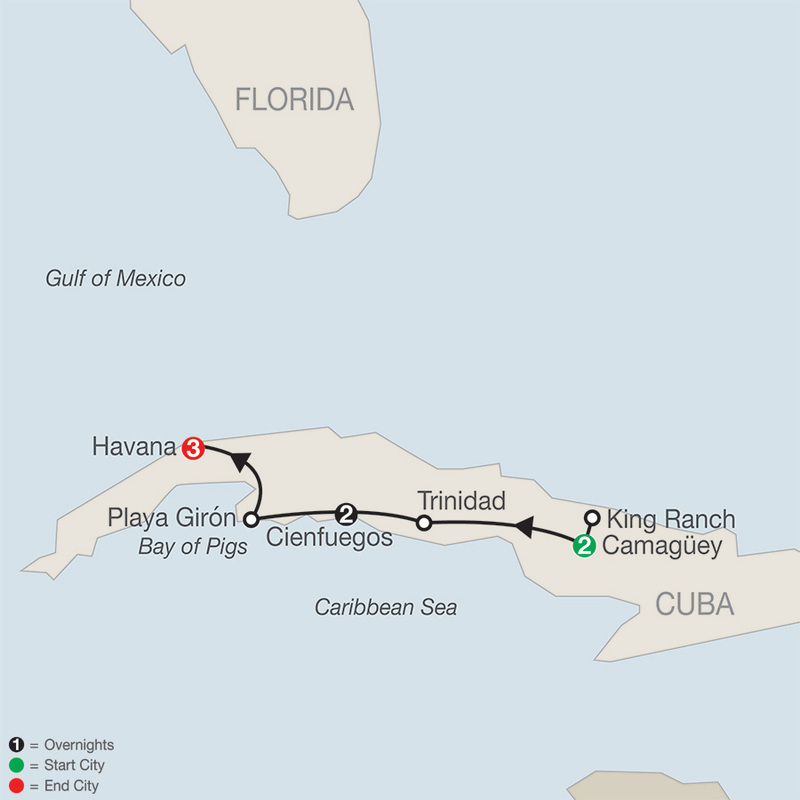 A once-in-a-lifetime experience awaits on this Cuba travel program! Join Globus and be among the first American travelers in five decades to visit Cuba and its most fascinating cities. This special people-to-people program allows Americans and Cubans to share meaningful ...Read More.